Sarabjeet Singh, Director of Business Development at SwiftKey India, in a conversation with Business Today talks about the company's growth in the Indian market. Typing on phone using swipe or glide gestures is convenient and fast and it has been around for a while. Combine it with auto-correct and word or sentence prediction, and the text input experience on mobile devices can enhance by multiple folds. Nuance's Swype popularised swipeable keyboards but was discontinued last year. However, SwiftKey (acquired by Microsoft) continues to grow and expand its user base in the Indian market. Indeed, late last year, SwiftKey integrated web search functionality on Android devices. Sarabjeet Singh, Director of Business Development at SwiftKey India, in a conversation with Business Today talks about the company's growth in the Indian market. Business Today: What does "Artificial Intelligence-powered keyboard" mean? How is AI being used in SwiftKey? Sarabjeet Singh: Available for Android and iOS devices, our keyboard adapts to the way a user types. It uses artificial intelligence to learn from a person's writing style and get smarter over time. This means that a user spends less time correcting typos and more time saying what they really mean. 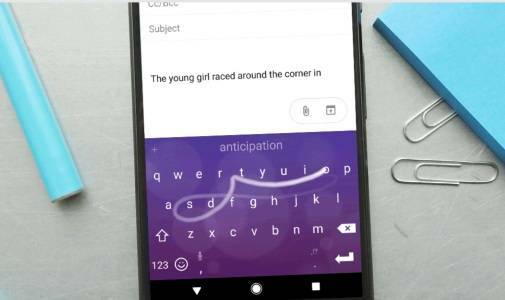 SwiftKey uses an artificial neural network to predict and correct language. Through machine learning based on enormous amounts of language data, SwiftKey's neural model is able to meaningfully capture the relationship between words. It understands word similarity, allowing it to compare words on the fly. Within the neural model, words can be visualised in 'clusters', located at varying degrees of proximity to one another. This understanding allows SwiftKey Neural to predict words that have never been seen in a given sentence context during the learning phase. For example, having seen the phrase "let's meet at the airport" during training, the technology is able to infer that "office" or "hotel" are similar words, which could also be appropriate predictions in place of "airport". Further, it understands that "let's meet at the airport" has a similar sentence structure to "let's chat at the office". This intelligence allows SwiftKey Neural to offer the most appropriate word based on the sentence being typed. BT: What kind of active user base does SwiftKey have in the Indian market? Singh: Users in India comprise more than 15 per cent of SwiftKey's overall user base, making it one of our biggest markets. Given the country has such diverse language choices; we offer 30 Indian languages on our keyboard. In the last year, SwiftKey's Indian user base has grown nearly 20 per cent, showing what a huge area of growth the region is for the company. BT: Of the 30 regional Indian languages that are available on SwiftKey, which are the top five languages? Singh: At SwiftKey we are committed to improving the user experience on the keyboard. We currently offer support for all 22 constitutional languages of India, along with 8 additional dialects. The top five languages used in India are Hinglish, Hindi, Gujarati, Marathi and Bengali. Users in the region can also type in up to five languages simultaneously without switching layouts. They can even use features such as transliteration, allowing users to type in Latin letters, the native script, or a combination of the two, on the Android platform. BT: How long does it take for you to input a keyboard in a regional language? What kind of work goes into it? 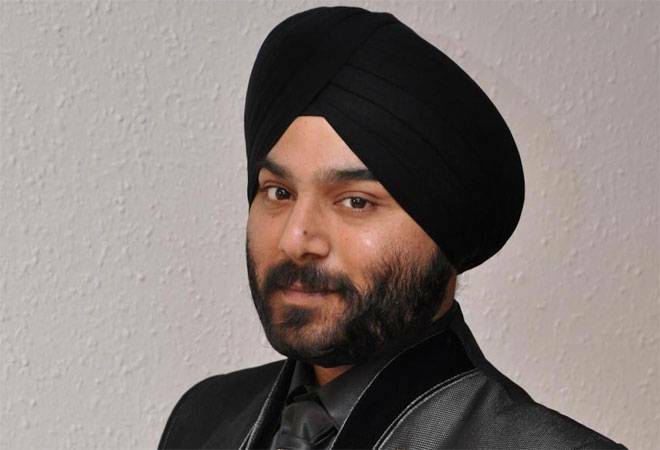 Singh: We have a languages team internally that does a fantastic job of introducing new language models and, given that language is ever evolving with new words being introduced or popularised, updating the existing languages SwiftKey supports. As such, the process never really ends, but it starts by gathering a large corpus of text written in that language. Given SwiftKey already supports over 300 languages, many of the remaining languages are lesser spoken/written, so this can often be challenging. This is especially the case given that people can often use their phone to type in an informal or more conversational way so this is the type of language SwiftKey needs to be good at predicting and correcting. This informal language can be very different from the way a language is written more formally, which is often the most commonly published and most readily available way. Once this corpus has been collected, we have internal tools that analyse the relationships between words to understand the language and turn this into a language model. It's then often necessary for a native speaker of the language to use and check the language model to help ensure the quality of the corrections and predictions, as well as helping with other considerations such as ensuring profanities and offensive content is not included. Finally, we rely on a community of wonderful users who help test SwiftKey technology to ensure it meets our high standards. BT: How do you plan to migrate existing iOS and Google keyboard users to SwiftKey? What gives you an edge over the competition? Singh: SwiftKey's edge comes from our culture of innovation and our ongoing commitment to continuing to listen to what our users really want and build products and features based on their needs. We have an extremely engaged beta community, which is where we test features before they are rolled out to the public. Recent features that we have launched include Microsoft Translator integration and search integration, all designed to ensure that SwiftKey is making communication quicker, easier and more convenient for all users. The transliteration feature allows users to type by spelling words phonetically on the standard keyboard, with SwiftKey's AI offering next-word predictions and corrections appearing in both Latin characters and the native script. This allows users to type in a mixture of English and their native script without having to change the keyboard between different layouts. Transliteration supports multi-script typing, so multilingual users can type in up to five languages at once, with SwiftKey seamlessly switching between languages and scripts. BT: What is SwiftKey's revenue model? Singh: SwiftKey is free to download across Android and iOS, and we work with OEM (original equipment manufacturer) partners to ensure that users can continue to enjoy our features free of charge. Our number one priority is to provide the best typing experience to our users. We have partnered with numerous OEMs, such as Huawei, Xiaomi, Micromax, Celkonn, Lava, Intex, Gionee, Karbonn and others. BT: Can SwiftKey be made available for feature phones as well? Singh: At SwiftKey we're committed to ensuring our iOS and Android experience is the best it can be for our users. We have nothing to share about feature phones at this time. BT: Has there been any significant increase in your user base after Swype keyboard was discontinued? Singh: SwiftKey will continue to listen to, and engage with, our user base to provide solutions that they need. We don't focus on competitor news. Our aim is to keep making SwiftKey better and to add new features and functionality based on our user feedback and market requirement. BT: It's been close to three years since Microsoft acquired SwiftKey. How has this acquisition helped SwiftKey? Singh: We are still just as focused on our main priorities as before the acquisition; delivering the best consumer experience possible. Being part of the Microsoft family has given us access to the resources, knowledge and experience that ultimately make better products for our users.